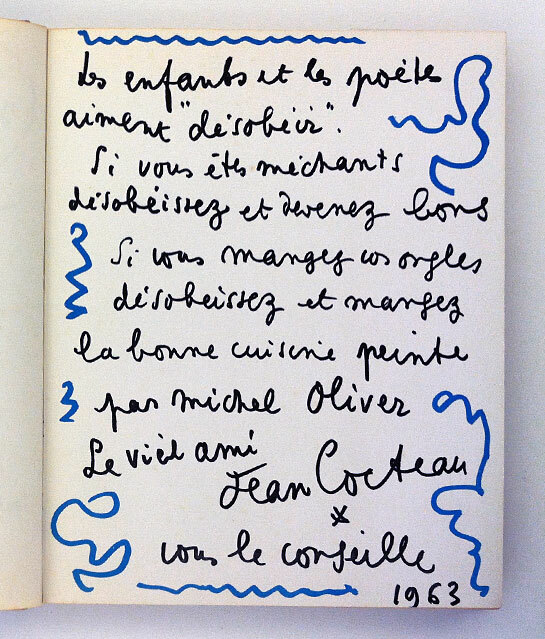 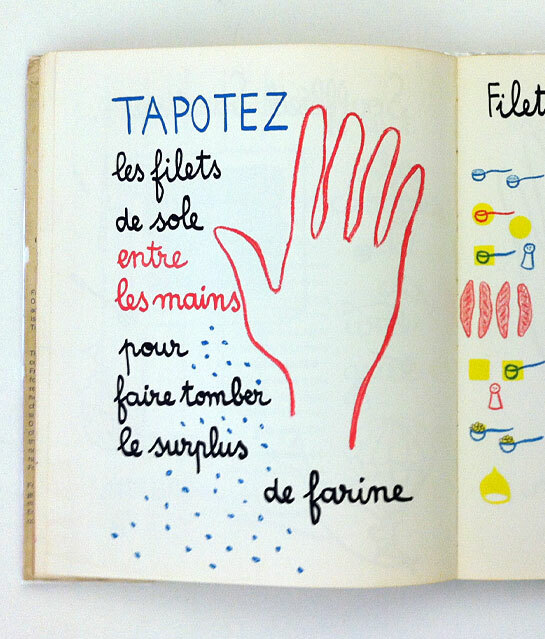 This beautiful vintage French cookbook for kids belongs to my friend, Cybele. 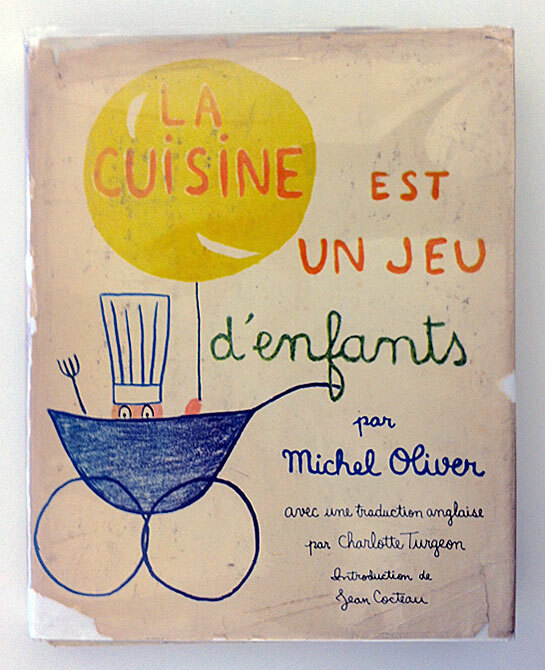 Check out that chef baby on the cover! 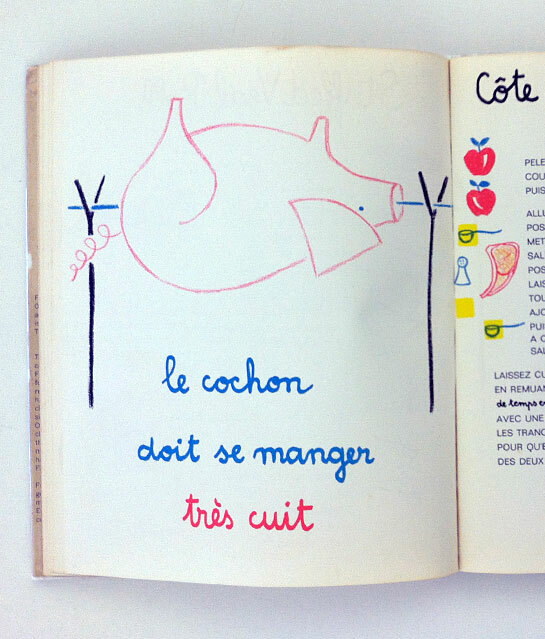 La Cuisine est un Jeu D’enfants was published in 1965 and, according to the jacket flap, “Any child who cooks from this book is well on the road to culinary success, and his elders will have to borrow the book or hire a French chef to keep up with him.” I love the simple, bold illustrations and hand-drawn type by Michel Oliver, the author/illustrator. 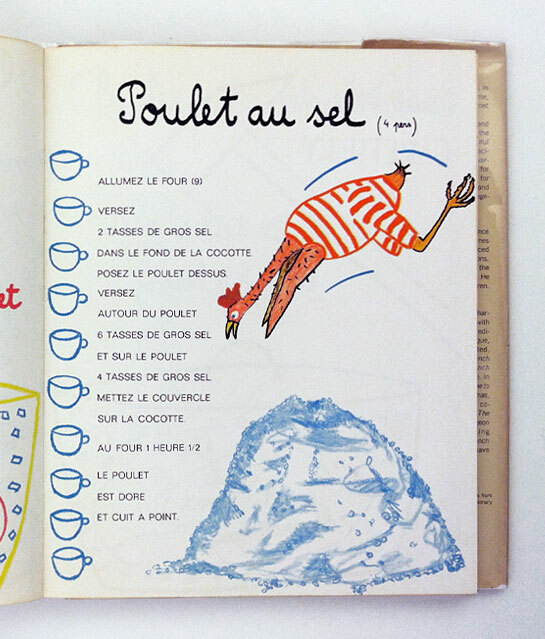 An essential recipe every child should learn: whole roast pig.